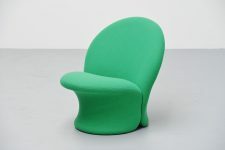 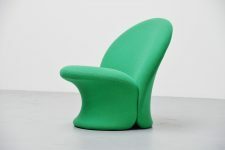 Super cool and special easy chair designed by Pierre Paulin (1927-2009) and manufactured by Artifort in 1967. 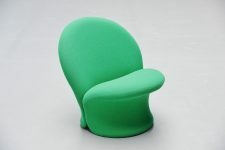 This rare chair was only produced for one year from 1967 – 1968 and is no longer in production now. 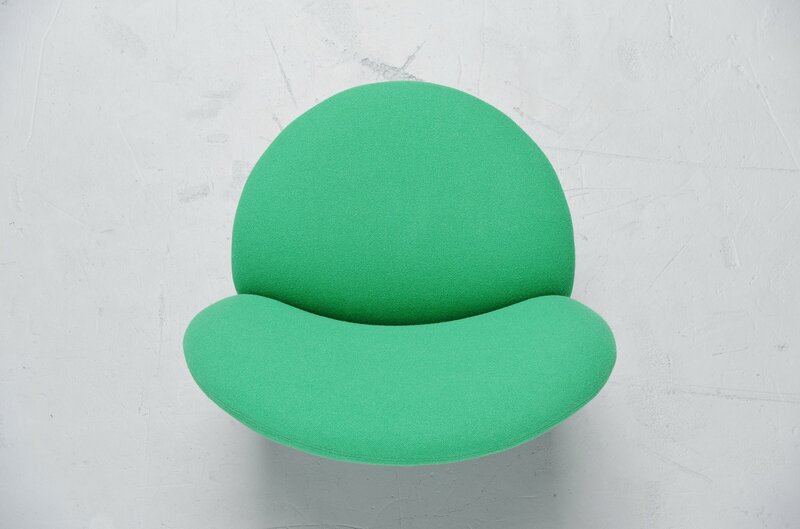 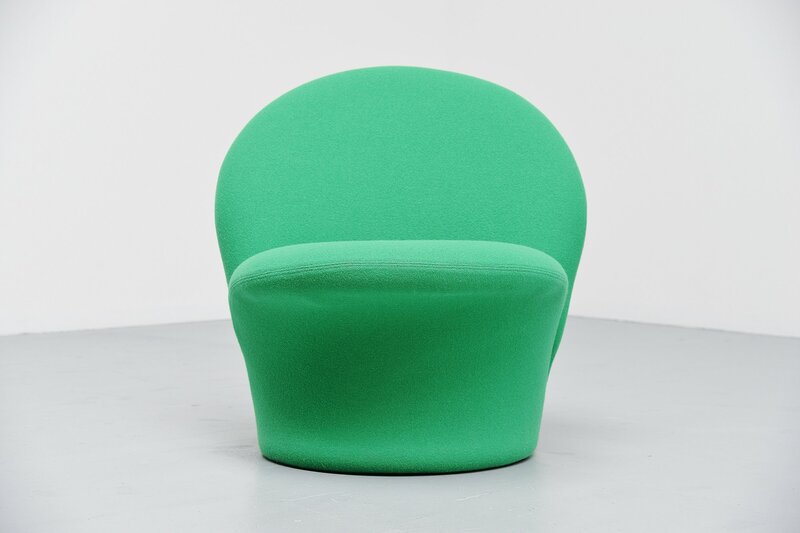 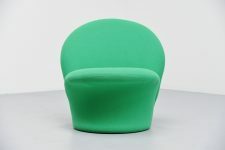 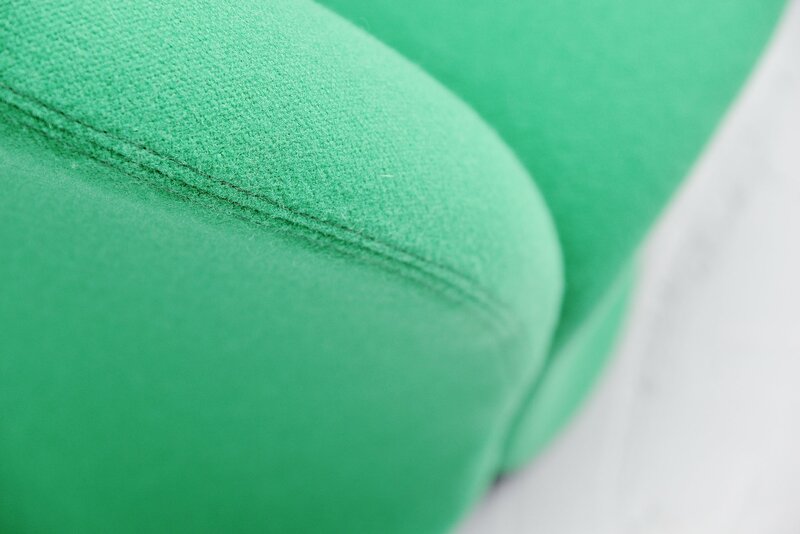 Upholstered in green Tonus fabric by Kvadrat, original Artifort upholstery, also has new foam. This chair has a very nice sculptural shape where you can see Pierre Paulin was a real sculptor and it seats perfect as well. 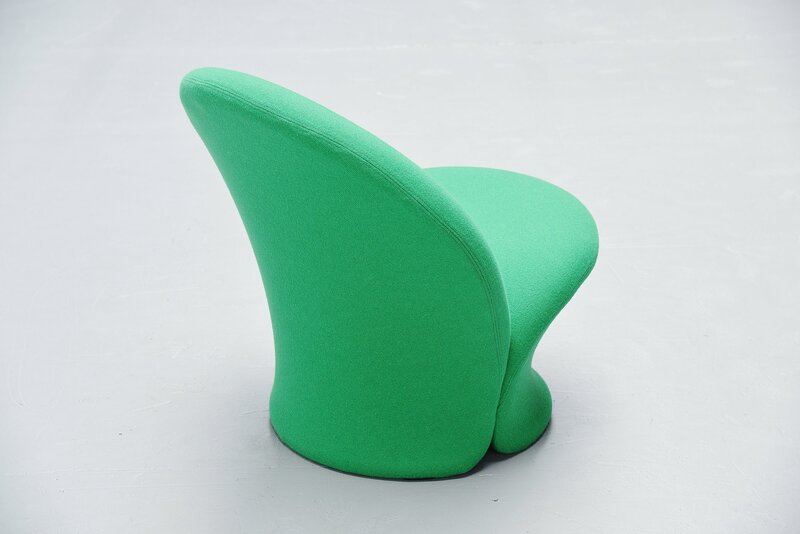 The bright purple color makes this chair a real diamond to meet the eye. 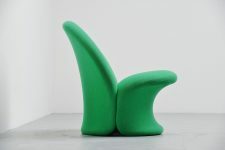 This is a real collector's piece and is not often for sale in good condition.